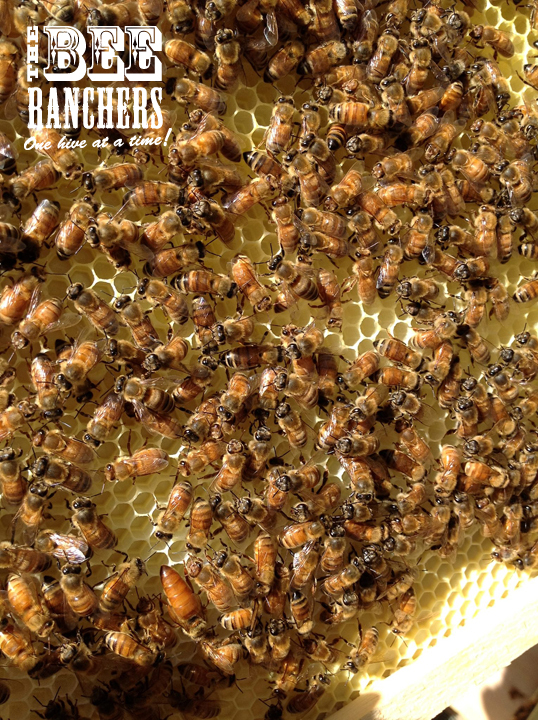 This entry was posted in Hives, Honeybees, Queen, Spring by beerancher. Bookmark the permalink. She is in the bottom left of the picture & is much bigger than her worker bees. Trish I believe you are on to something here and I am almost ready to classify you as the winner! Why not send us a pic from a mobile phone (if you have one) with your finger pointing to the Queen? You can send the pic to dak_1971(at)yahoo(dot)com. Let me know if that is possible. And of course, thanks for playing! Pic sent. I cropped it down to focus on her Majesty. Trish I got it and will post it for all to see that you truly have a good eye for her majesty! So you are officially THE WINNER!!! I spoke with Mike tonight and we are coordinating what your prize will be. Rest assured it should be something worth your effort! Thank you for your support and kind words. Expect an e-mail from me in the next week.